If you're interesting in finding some select resources by topic, consider the suggested links below. Please keep in mind that this is only a fraction of the actual holdings in the University Archives & Special Collections. If you'd like to research more or are having trouble finding resources, please email us. A brief overview of Denison's history. This early published history of Denison University covers the time period 1831-1931. It's a great place to start if you are wanting an overview about the University. This early published history of Denison University covers the time period 1831-1957. It's a great place to start if you are wanting an overview about the University. Primary Source! Catalogs give a snapshot of what the institution was like during a specific year. It lists courses, sometimes students and alumni, faculty, and more. 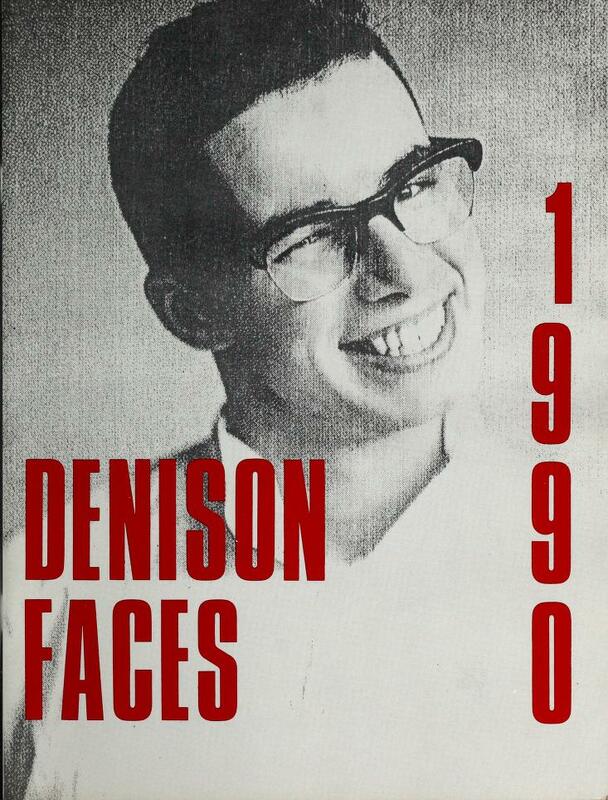 This link includes digitized issues of Denison University Catalogs from 1900-1985 and 2013-2015. Print copies of the catalogs are available in the Archives & Special Collections Research Room. These links contain digitized archival resources that document what it was like to be a student at Denison throughout the years. 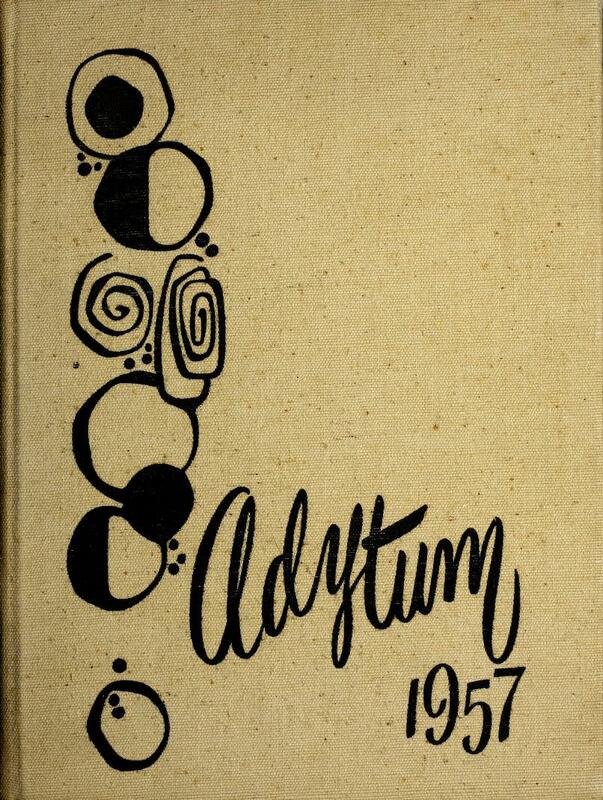 Browsing through The Adytum yearbooks since 1882 may give you a great glimpse of student life, activities, and organizations throughout history. If you'd like to see The Adytum in person, make an appointment to visit the Research Room. For browsing and searching tips, click "more." - Click on an issue you'd like to browse. You can flip through pages and also download the file in a variety of ways. - If you want to search within an issue, click on the small white magnifying glass on the side of the book. Don't use the bigger grey magnifying glass at the top, as that will search the entire Internet Archive. In a time before Facebook, there was the freshman photo directories, aka "Baby Books" or the "new student directory." These have a photo and information about the incoming freshman and sometimes the incoming faculty and staff as well. 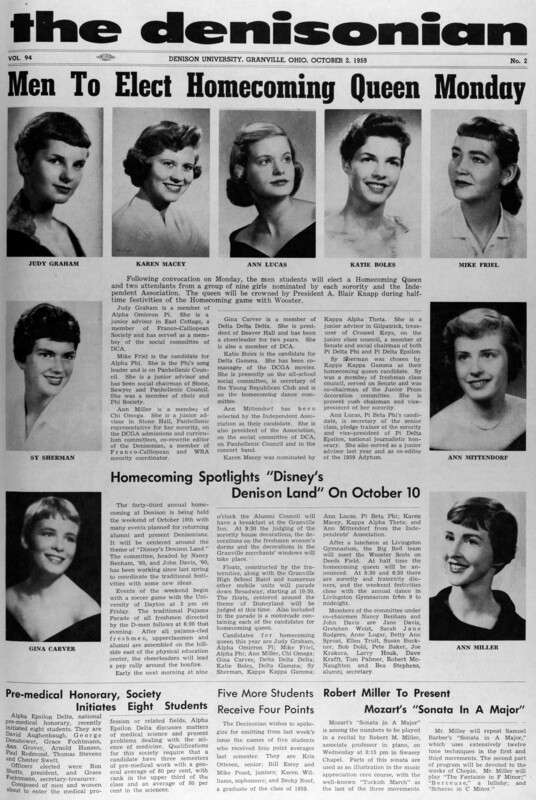 This is a digitized collection of the student newspaper between 1875-2012. If you'd like to see The Denisonian issues in person, make an appointment to visit the Research Room and we can pull the old issues for you. For recent issues, visit http://issuu.com/thedenisonian. For tips on how to search, click "more." - Try searching by keyword, like names of organizations (Black Student Union), names of events (Vail Series), or names of people (Dale Knobel). - You can add additional search terms later if you want to narrow your results. Try sorting your results by date to see your results in chronological order. - If you want to start your search over, re-enter "http://bit.ly/thedenisonian" into your address bar instead of clicking the banner. Otherwise, you will start searching all of the newspapers in the Five Colleges of Ohio consortium! - Try limiting your search to a specific time period. Under "Advanced Search Options" there is the option "Search By Date." Try inputting specific dates like "03/20/1990" or just include years like "1990." This digital collection showcases the history of The Homstead through digitized documents, photographs, and more. Started as a community-living experiment in 1977, The Homestead has grown into a student-run intentional community with a focus one cological sustainability. 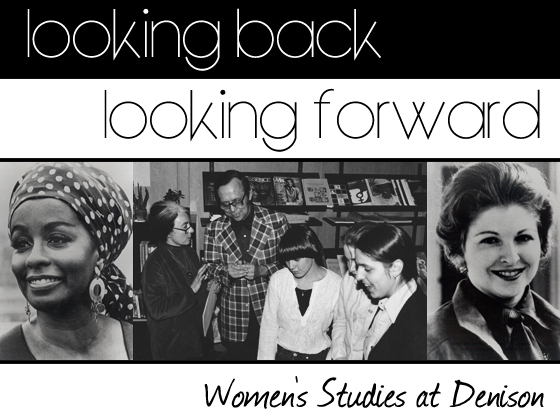 This is a digital collection that recounts the founding of the Women's Studies Program through materials from the University Archives and the Women's Studies departmental files. This digital collection of materials documents the Black student protests at Denison University. It contains digitized materials from the University Archives and includes oral narratives from students, faculty, and staff that participated in periods of Black student empowerment protests, the Black Student Union, and the Black Studies Center at Denison University. Researching someone specific that is connected to Denison? Here are some tips on finding biographical information of alumni, former faculty/staff, and friends of the University. Try searching for a last name here. If any search results come back, contact us and we can pull that file for you. Note: this catalog will not provide any digital content- it will only tell you whether or not we have any information on that person. Access the Course Catalogs to search for something specific or browse by academic year. You can use the search box on the left and choosing "Search this collection" to search the full text of all issues by a keyword, such as a last name or department. Early issues of the course catalogs also includes a list of students, alumni, Board of Trustee members, and administrators. This link will take you to the catalog to search the Denisoniana Collection, a special collection of books written by or about Denison faculty, staff, alumni, or students. A collection of letters and photographs relating to Denison professor Richard Mahard and his service in World War II. Many items from this exhibit are held at the Granville Historical Society. This exhibit was created by Ben Bowers '20 during the summer of 2018.